In reality, the legendary coastal city of Saranda would ideally require more time to be fully experienced. However, if you only have 24 hours to spend here, we can suggest the absolute must-sees of this popular spot. 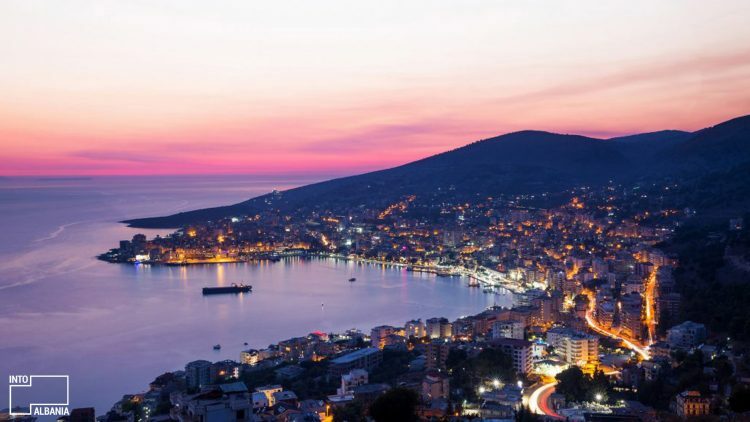 Located at the border between Albanian and Greece, Saranda attracts numerous tourists in the summer, when its population of 38,000 triples in size and the city comes alive. 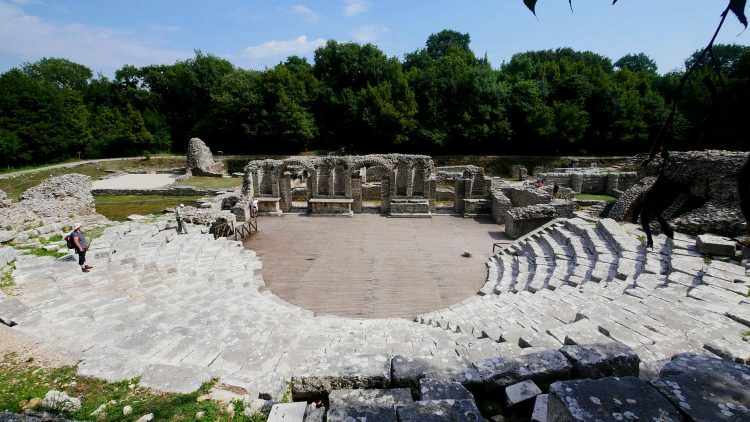 After enjoying your breakfast and coffee at Bar Restaurant Limani or in one of the many wonderful cafes along the seaside promenade, we suggest you head towards Butrint National Park. You may want to reach this site fairly early in the day so as to give yourself enough time to explore it in its entirety. Furthermore, it is most enjoyed in the cooler part of the day. You can take the Bus line Sarandë – Butrint, departing every 30 minutes from Mother Theresa Square, in the center of Saranda. The bus ticket costs only 100 ALL. 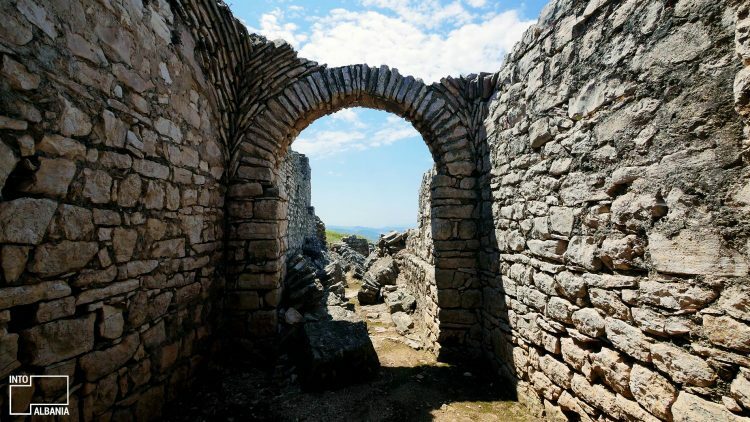 This UNESCO site represents some of Albania’s best-preserved ancient ruins. The 3rd century theater and countless other historic monuments surrounded by an idyllic Mediterranean landscape will all make you feel as if you stepped inside of a painting. Archeological Park of Butrint, Saranda, photo by IntoAlbania. If you manage to see Butrint until midday, you can make a quick visit to the Blue Eye, one of the natural wonders of Albania. 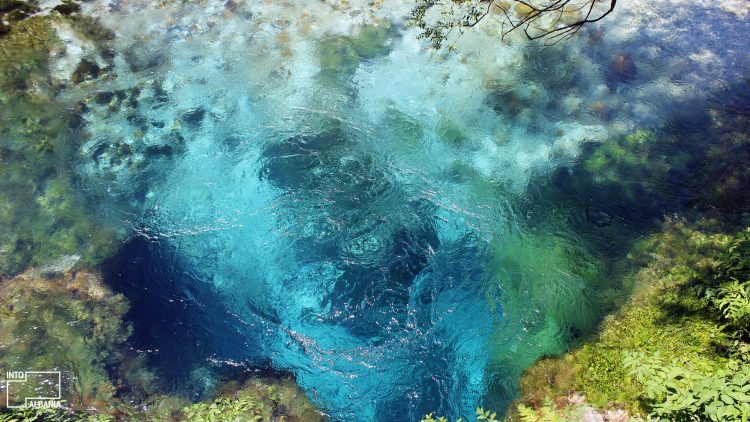 Take into consideration that the Blue Eye is located about a 30 minute drive away from the coastal city of Saranda, but it is totally worth it. Blue Eye of Albania, Saranda, photo by IntoAlbania. Butrint National Park and the Blue Eye will leave you mesmerized but also pretty hungry! 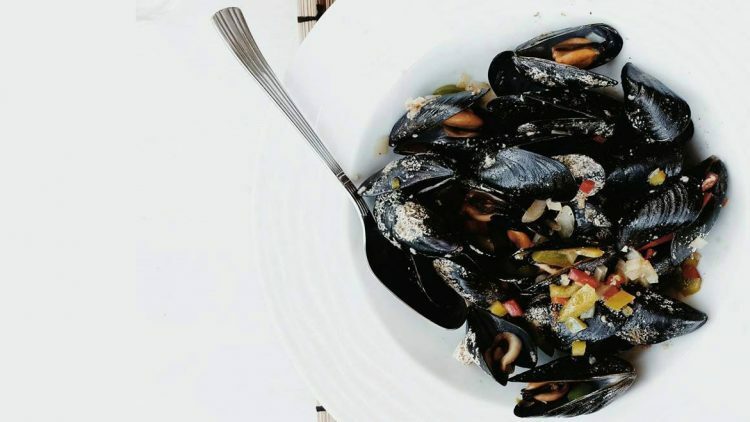 If you find yourself absolutely famished, you can stop in a popular restaurant along the way to the city called Restorant Harmonia (Harmony Restaurant). If not, head towards the city, where there are many options from which to choose. La Petite is a trendy, foreigners favorite with very healthy and contemporary cuisine, with two different locations in the city. Gërthëla is another one, an excellent choice because of its delicious seafood and affordable prices, very popular among locals. You can find this one right in the end of the main promenade. Close to Gërthëla is located also Mare Nostrum. You cannot go wrong with either of these two as they are among the legendary names around here! Mare Nostrum. source of photo: Facebook. During the summer, the city is famous for its wonderful beaches. Feel free to cut your lunch short and opt out of the afternoon explorations to go to the beach. Here, you can look over our list of Saranda’s top beaches. Ksamil Islands in Saranda, photo by IntoAlbania. Here, you have two options from which to choose according to what interests you most. We highly recommend the ruins of the Forty Saints Monastery. Famous for giving Saranda its name, inside this 6th century monastery, you will find preserved columns as well as intricately decorated tiles and windows while the 15th century church hides more wonderful treasures from the Byzantine period in Albania. Definitely worth seeing! Forty Saints Monastery ruins, photo by IntoAlbania. You may want to make a quick stop at the Synagogue and Basilica of Saranda if you have time. Discovered in the last century, here you will find the traces of a beautiful medieval mosaic! Lëkurësi Castle looks over the entire city plains and seascape so, form here, you will get the best panoramas of the entire area! Time your trip strategically so you can catch the spectacular Ionian sunset here and stay for dinner, as well. To conclude your day, enjoy a traditional meal at Lëkursi Castle, out in the fresh air and an unforgettable view! Sunset in Saranda as seen from Lëkurësi Castle. Photo Credits: Egzon Bytyqi, instagram.com/egzonbytyqiphoto. If you would like to go a bit further into this city, we suggest one of the coolest places in town: Andon Lapa Restaurant. This may also give you the chance to explore the city a little more intimately. But visiting this place is a must!